There are some injuries that so deeply rend the fabric of human existence, that are so terrible to contemplate or experience that even the thought of them can result in a gut-wrenching kind of physical sensation of revulsion. This can be the case whether we are the perpetrator or the object of such injuries and the sins which provoke them. The act of despising another human person because of their weakness, or for whatever reason, is profoundly anti-human and does violence not only to the person so despised but at the same time violates the humanity of the one who thus turns away from authentic compassion and brotherly love. Despising another reveals a deep form of self-rejection in the human person for it is one's own humanity which is in fact rejected when one despises one's neighbor. The betrayal of a friend is also an act deeply violating both to the one rejected and the one who chooses to turn away from the bond. We are all human beings: our experiences of temptations or weaknesses, though different for each one of us, are in some way shared by all of us. When one of us despises another because of his or her weaknesses or the ugliness of marred humanity because of the effect of sin, it sunders us from the other person in a very deep way, causing an injury that wounds us to the heart and marrow of our existence. When we have shared the close bond of friendship, whether within the family or beyond it, and that relationship is broken in a way that seems beyond all repair this, too, can cause deep and lasting effects which are like a wound to the person, causing lasting impairment to the spirit and mind. In this Holy Week, beginning with today's Palm Sunday procession and Mass, we accompany Jesus Christ again through his physical, visible suffering on the streets and hills of Jerusalem. 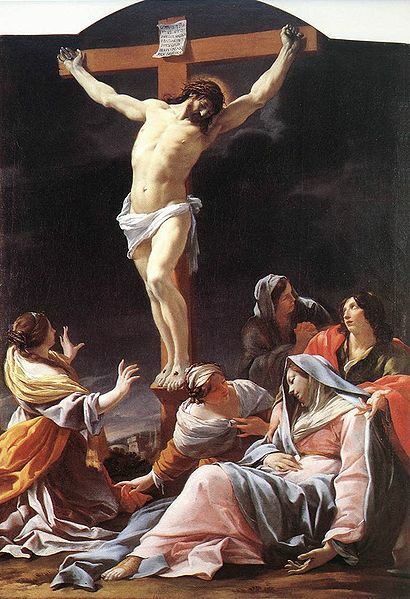 Though he suffered and died 2,000 years ago, He tells us that His Passion continues today because of sin: "when you reject them, you reject Me." We see in the Body and Blood shed by Christ the price that is paid, the act of love made necessary by the only One who is capable of repairing what has been broken by our sins, whether visible like the broken, beaten and crucified body of Jesus Christ or the invisible kind of evil which is a hidden corruption. In the rejection and murder of Jesus Christ is found both the story of and the answer to each and every instance of human betrayal and discord, for "by his wounds we are healed". It is in the betrayal of Jesus Christ which results in the sacrifice for sin that all sins now must find their healing, for only in Jesus Christ is God's mercy made available for each of us. This happens in the most intense way in the Church through the sacramental life. On our altars now is consecrated, offered and received the same Jesus Christ who died on the Cross 2,000 years ago. He is present again to involve us and our wounded sinfulness in His Divine embrace which binds us up and makes us whole again. Sin and death will not have the last word. Friday, Fifth Week of Lent: "I have shown you many good works from my Father"
We are not stoning you for a good work but for blasphemy. Thursday, Fifth Week of Easter: "it is my Father who glorifies me"
Wednesday, Fifth Week of Lent: "I came from God"
The Incarnation of God's Son reveals that God is the eternal Father and that the Son is consubstantial with the Father, which means that, in the Father and with the Father the Son is one and the same God. Tuesday, Fifth Week of Lent: "you will realize that I AM"
Solemnity of the Annunciation: "the Lord himself will give you this sign"
Mary gave her consent in faith at the Annunciation and maintained it without hesitation at the foot of the Cross. Ever since, her motherhood has extended to the brothers and sisters of her Son "who still journey on earth surrounded by dangers and difficulties." Jesus, the only mediator, is the way of our prayer; Mary, his mother and ours, is wholly transparent to him: she "shows the way" (hodigitria), and is herself "the Sign" of the way, according to the traditional iconography of East and West. 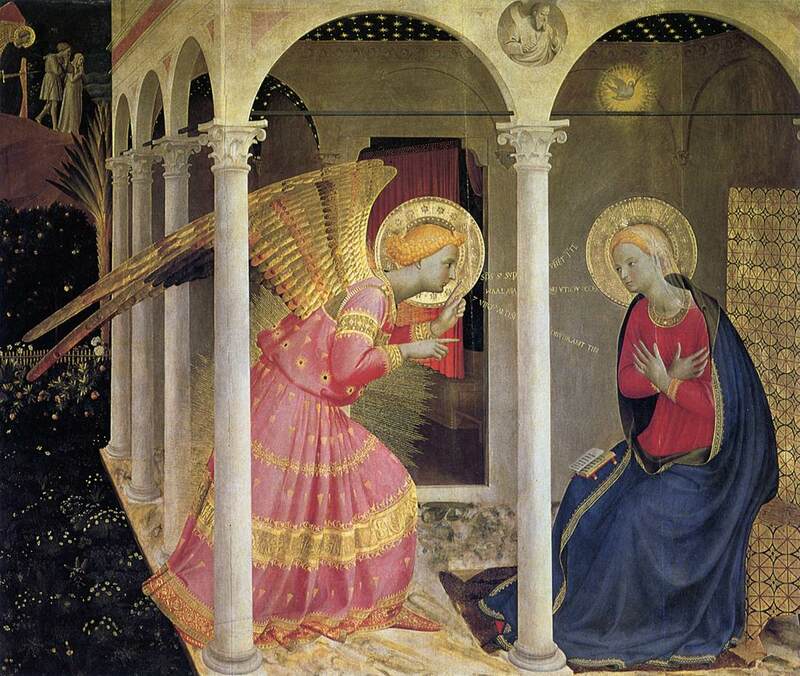 Art: Fra Angelico, Annunciation, 1433-34. Tempera on wood, 150 x 180 cm,, Museo Diocesano, Cortona. These are effervescent times in which to live. There are so many things happening in the world and there are unprecedented accesses to information, news and entertainment as never before. We can feel as though we are inundated under the waves of data, images and events that come to us through cell phones, the internet and television. The signs of the times urge us to find an answer to understanding the many events, people and things that compete for our attention in the life of our families, our communities and the world. The HHS mandate and the work of the Bishops urging us to assist in the effort to rescind it, the conflicts of the world that find their way into our Church with controversies surrounding a priest's decision to deny Communion to a woman at her mother's funeral Mass, the drive to use the name "marriage" to describe styles of living that are indeed not marriage, the fight for religious freedom, the killing of Trayvon Martin, these and many other events create a sense of being sometimes overwhelmed and urge us to seek a hermeneutic key for understanding and interpreting them, making sense of them. In the new covenant which God reveals through the Blood of His Son we have an answer. There is a new movie getting a lot of attention. "The Hunger Games" celebrates death: the death of young people who are set upon each other for the entertainment of their parents, the elders in society. The Passion of the Lord which we will follow closely in the life of the Church in these coming days is the very opposite of this: the Father gives Himself completely over to His children in the Son who make sport of Him, mock Him, and put Him to death. Through this injustice God brings perfect justice, that of Divine love, into the world through a "new" covenant: that of the Body and Blood of His Son, Jesus Christ. How does the new covenant in the Blood of Jesus Christ help us to interpret and understand the signs of the times? God must be given complete freedom to save the world and, thus, any eclipsing of the freedom of His Church is a strike against the mission of the Son which comes to the world through the Church. The color of Trayvon's skin is completely irrelevant to the injustice of his death if indeed he was unarmed: he is created like every human person in the image of his Creator and God says this enough reason in itself to call for respect for the right to life and justice. The HHS mandate forces the Body of Christ to pay for moral evils such as artificial contraception, abortion and sterilization which violate the truths about human dignity revealed by the Divine Person Jesus Christ in the new covenant. The denial of holy Communion to manifest public and unrepentant sinners itself is a call to salvation, a medicinal application of God's law to call even Barbara Johnson and Maryland Governer Martin O'Malley and others who should be denied the Sacrament wherever they present themselves for such, as they by their own words and actions have set themselves against Jesus Christ and the Church through which He comes to us and saves us today. And what is Jesus Christ doing now for the working out of the new covenant? In the life of the Church He continues the work of salvation as His vicar on earth, Pope Benedict XVI, reaches out in compassion and love by visiting the people of Cuba and Mexico. And they in turn are reaching out in faith to be with him as they come out in great multitudes in witness of the Faith. We are here in the house of God to keep the Lord's Day holy together in the solidarity of Faith which is the grace of the new covenant by which we work out our salvation in fear and trembling. Our hunger for salvation is no "game". And God who is most sincere in love feeds this hunger through the new covenant with the Body and Blood of His Son Jesus Christ who is one with the Father through the Holy Spirit. Saturday, Fourth Week of Lent: "I knew their plot"
Friday, Fourth Week of Lent: "we know where he is from"
When the Christ comes, no one will know where he is from. The divine persons are really distinct from one another. "God is one but not solitary." "Father", "Son", "Holy Spirit" are not simply names designating modalities of the divine being, for they are really distinct from one another: "He is not the Father who is the Son, nor is the Son he who is the Father, nor is the Holy Spirit he who is the Father or the Son." They are distinct from one another in their relations of origin: "It is the Father who generates, the Son who is begotten, and the Holy Spirit who proceeds." The divine Unity is Triune. Tuesday, Fourth Week of Lent: "I saw water flowing"
"Rise, take up your mat, and walk." The "polluting of the Lord's temple" through the abasement of the human person is rampant in our world today, where what is a perversion of human dignity is praised and promoted, such as abortion through the HHS mandate. Incidents in the "temples" which are our churches and the sins of hatred and intolerance in society reveal a world in conflict with God and His law. The phenomenon of the imprisonment and enslavement of human persons, in particular young people, has become more visible to millions of people through the Kony video which has been viewed many millions of times. Also, we who are Catholic, are becoming more and more aware that there is now a massive societal movement underway on a number of fronts by committees, individuals and governments to declare Catholic faith and life illegal and to demand that the Catholic Church continually redefine itself down to accommodate whatever demands by whomever, wherever and whenever. A woman who does not agree with God's plan for marriage between one man and one woman has demanded the removal from the Catechism of a paragraph that she deems personally offensive. Another woman recent;y approached a priest in the sacristy prior to her mother's funeral Mass to reveal that she was living a sinful life and approached him for Communion at the Mass although he had asked her not to do so. His decision to refuse the Sacrament has caused suffering for him and for the Church when it appears that he was trying to do the right thing by God. The world still flirts with and falls in love with sin, attempting to substitute the worship of idolatry in place of Jesus Christ who is the Sole savior. Jesus Christ lifted up on the Cross is the answer to the sins of man and woman that prevent their salvation. What does it mean to "believe in Jesus Christ"? We have already learned that two steps are necessary in order to make a beginning in the way of Jesus Christ. The first of these is repentance for sin. Repentance, true sorrow for sin, requires an honest assessment of our lives in the light of God's holiness made visible in Jesus Christ and sorrow for the ways in which our lives are in conflict with Jesus Christ's example. Repentance of the heart and mind is expressed outwardly in conversion, a "turning" away from sin and what leads to sin and a turning toward the Lord and holiness of life. Baptism is the first step through God's initiative. But how do we persevere in the way of conversion which enables us to lead a life of repentance through holiness? We do this in the Church of Jesus Christ which is the place of faith where Jesus Christ Himself guides and directs us, as baptized members of His Body. Simply by celebrating and living the sacramental life, beginning with Baptism which is the door to the other Sacraments, we live as Jesus' Body, to the praise of God's glory. so that his works may be clearly seen as done in God". Once committed to conversion, the heart learns to pray in faith. Faith is a filial adherence to God beyond what we feel and understand. It is possible because the beloved Son gives us access to the Father. He can ask us to "seek" and to "knock," since he himself is the door and the way. 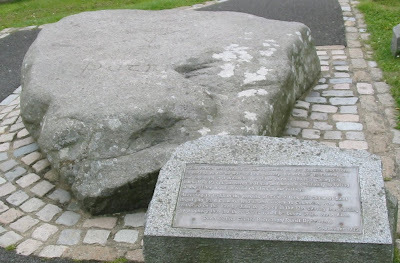 Photo: Saint Patrick's grave at Downpatrick, Ireland. Friday, Third Week of Lent: "Take with you words, and return to the LORD"
I love you, O my God, and my only desire is to love you until the last breath of my life. I love you, O my infinitely lovable God, and I would rather die loving you, than live without loving you. I love you, Lord, and the only grace I ask is to love you eternally. . . . My God, if my tongue cannot say in every moment that I love you, I want my heart to repeat it to you as often as I draw breath. Thursday, Third Week of Lent: "Listen to my voice"
Wednesday, Third Week of Lent: "that you may live"
It is in the Church, in communion with all the baptized, that the Christian fulfills his vocation. 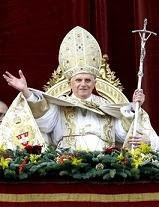 From the Church he receives the Word of God containing the teachings of "the law of Christ." 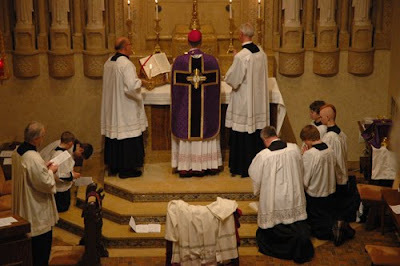 From the Church he receives the grace of the sacraments that sustains him on the "way." From the Church he learns the example of holiness and recognizes its model and source in the all-holy Virgin Mary; he discerns it in the authentic witness of those who live it; he discovers it in the spiritual tradition and long history of the saints who have gone before him and whom the liturgy celebrates in the rhythms of the sanctoral cycle. 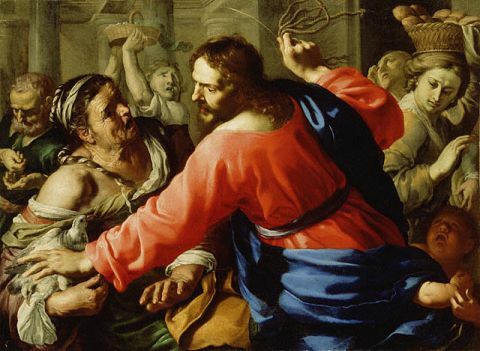 Tuesday, Third Week of Lent: "with contrite heart and humble spirit let us be received"
Now - and this is daunting - this outpouring of mercy cannot penetrate our hearts as long as we have not forgiven those who have trespassed against us. Love, like the Body of Christ, is indivisible; we cannot love the God we cannot see if we do not love the brother or sister we do see. In refusing to forgive our brothers and sisters, our hearts are closed and their hardness makes them impervious to the Father's merciful love; but in confessing our sins, our hearts are opened to his grace. Monday, Third Week of Lent: "no prophet is accepted in his own native place"
The signs worked by Jesus attest that the Father has sent him. They invite belief in him. To those who turn to him in faith, he grants what they ask. So miracles strengthen faith in the One who does his Father's works; they bear witness that he is the Son of God. But his miracles can also be occasions for "offence"; they are not intended to satisfy people's curiosity or desire for magic. Despite his evident miracles some people reject Jesus; he is even accused of acting by the power of demons. Noise is cheap, abundant and like a pestilence invades all too easily and frequently our homes, cars, offices, our minds and hearts. And noise also invades the house of God. Yes, the noise of enthusiastic conversation, words of sympathetic concern or neighborly inquiry after health and family are kind, humanitarian and appreciated but they are not the only means of expressing regard for or serving the well-being of others. In the house of the Lord, especially as most of His people gather on the Lord's day or its vigil, it is perhaps silence which is the best of all options for expressing solicitude and care for the well-being of neighbors. Why is this? For the reason that in the house of the Lord prayer comes first, prayer is needed by everyone and the prayer of holy Mass for which we prepare in silent meditation is the most perfect and necessary of prayers and the gift of the Lord's Body and Blood is the greatest of gifts for which we give thanks in silent adoration after the conclusion of mass. Everyone needs prayer and helping to provide the best conditions for a recollected mind and heart for the sake of effective and wholehearted prayer is the greatest of gifts in the Lord's house which is, above all other things, a house of prayer. Has the custom of holy silence become so neglected that there is almost no corporate memory of it among our Catholic people? Perhaps this is true, but it is never too late to do the right, necessary and salutary thing. "Take these out of here, and stop making my Father's house a marketplace." Now, thankfully I do not see parishioners roving from pew to pew selling Avon or other home improvement products during Mass. 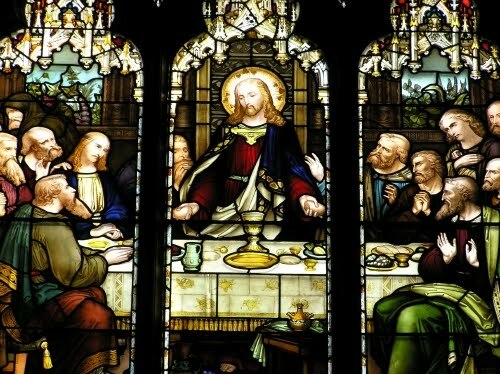 And the only things on the tables near the door are those necessary for worship: the bread and wine for the Eucharist and the bulletins. No need to overturn those. But there are other things which can make the Lord's house akin to a marketplace and among these are avoidable noises such as unnecessary or superfluous conversation and the ringing of cell phones. Lent might be a good opportunity to, for example, begin the habit of leaving one's cell phone in the car as the sign of a desire to give more radicall and fully give oneself over to prayer and worship at Mass. Asking a friend to step outside, in warmer weather of course, to chat after Mass might give those neighbors who wish to do so the opportunity to more recollectedly offer a thanksgiving prayer following Mass, as the Church has long urged us to do. With perseverance, encouragement and practice this can become a common sign of regard for others for more and more of us. The extraordinary form Mass group has a long-established practice of providing a social time with coffee and donuts after Mass on most Sundays of the year. This option is certainly available after all of our Masses in order to make visits possible with those we do not normally see outside of church events. 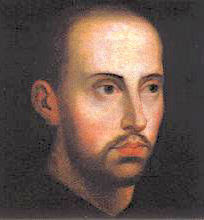 The Lord loves us, He who "did not need anyone to testify about human nature" because "He himself understood it well". In His love He urges us to take what we need for our good. Yes, the Lord who shared in our human nature perfectly needed prayer, prayer aided sometimes by silence. And he knows we need it also. Oh, and those friends you see only at church and with whom you would like to visit: Why not catch up by inviting them over to your home or to stop at a nearby restaurant to break bread together after Mass? Saturday, Second Week of Lent: "I shall get up and go to my father"
Friday, Second Week of Lent: "Israel loved Joseph best"
he had made him a long tunic. S John of God: "We know that we have passed from death to life"
... because we love our brothers. Wednesday, Second Week of Lent: "My chalice you will indeed drink"
Whoever wishes to be great among you must be your servant. Tuesday, Second Week of Lent: "Make justice your aim"
Monday, Second week of Lent: "We have sinned." The fifth petition begs God's mercy for our offenses, mercy which can penetrate our hearts only if we have learned to forgive our enemies, with the example and help of Christ. Our military archbishop His Excellency Tmothy Broglio began his Lent journey by visiting wounded warriors. These individuals are disfigured by wounds sustained through exposure to the physical evil of violence in war. Though the motives by which they offer their lives in defense of our nation are unassailable they yet bear the marks on their bodies and the effects upon their minds and spirits of manknd's sinfulness. We, too, are disfigured by sin in ways we often cannot see but the consequences of which are far more terrible: alienaton from the eternal life and love of God. The Church proposes for our meditation on this Second Sunday of Lent the gospel of the Lord's Transfiguration. His heavenly glory as God is briefly perceptible by the Apostles before a cloud takes it away. The men and women wounded by war cannot hide or escape their physical disfigurements but, rather, often leave family, friends and other visitors astounded by a transfiguration of their spirits by which they focus on, and take encouragement from, what they have rather than what they do not. We, too, must learn to keep ur eyes fixed upon Christ by faith while the cloud conceals in this world the heavenly glory He promises to share one day forever with us. We take courage from our faith in the One who rose from the dead after He bore Hs cross as we here and now bear our own. Praised be Jesus Christ, now and forever! Amen.